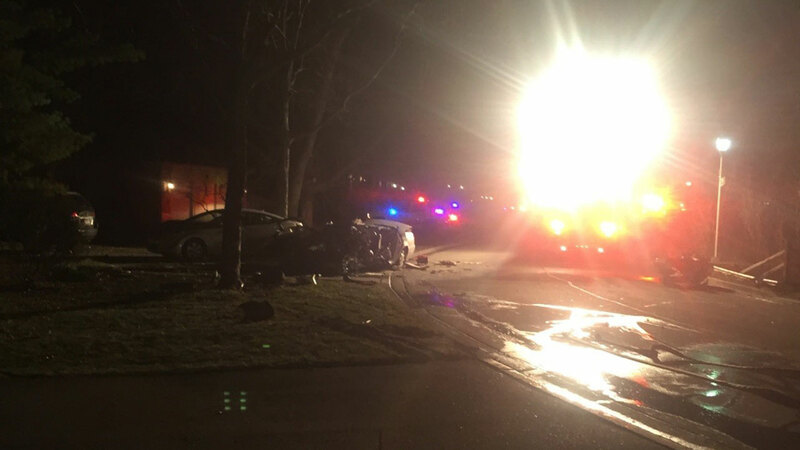 WEST CHICAGO, Ill. (WLS) -- A man was hospitalized late Saturday after he was trapped in his vehicle when it crashed into a tree in west suburban West Chicago, according to the West Chicago Fire Department. At about 7:51 p.m., West Chicago police said they tried to initiate a traffic stop on the vehicle in the area of southbound Route 59 and Arbor Avenue for multiple traffic violations. The driver failed to stop and turned onto eastbound Hawthorne Avenue and then north on Wild Ginger Lane, where the driver increased his speed in order to elude police, police said. The driver lost control of his vehicle in the 1000-block of Trillium Trail ad hit a tree. He was pinned inside and emergency crews extricated him, fire officials said. The man was airlifted to Advocate Good Samaritan Hospital.